Mark Slats official ETA to Les Sables d’Olonne finish is now 24:00 hrs local time on Thursday 31 January. At 14:00Hrs local time 31 January Slats has about 51 nm to go and is making 5.5.kts. In the next hour 30 knot West winds are due and his average speed should be 6.5 knots or higher. He will not delay his arrival till Friday morning but will keep sailing and arrive at anytime. Note that his tracker will set to 1 hourly from midday Thursday. 73-Year-old french skipper Jean-Luc Van Den Heede, was first to finish the Golden Globe Race on 29 January 2019 at 09:40 UTC. 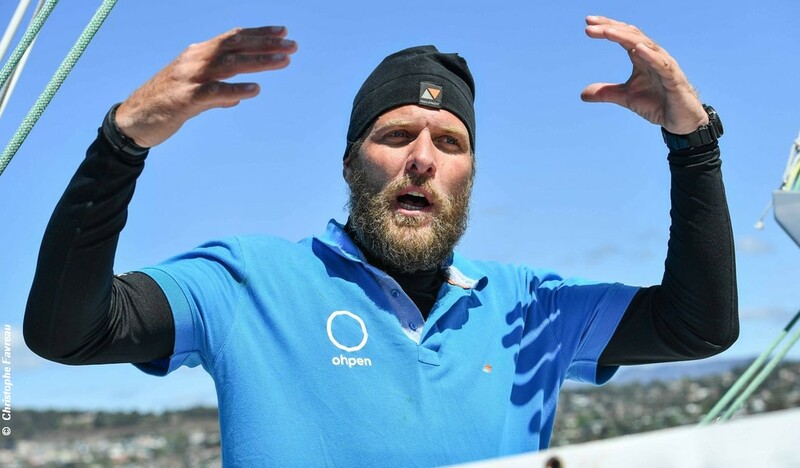 Van Den Heede completed the 28,175 NM round the world race at Les Sables d’Olonne after 211 days 23 hours and 40 minutes at sea.